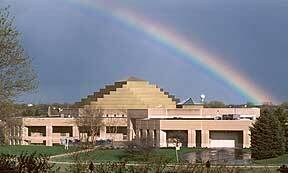 Eckankar is an ancient spiritual teaching and modern-day religion. It is a unique and valuable resource for any individual on the path home to God. This Web site offers a rich variety of Eckankar spiritual study materials and books for all who seek truth, wisdom, and divine love. Eckankar has members in over 100 countries, with its main temple and administrative offices at the Eckankar Spiritual Campus in Chanhassen, Minnesota. Renowned as a pioneer of "everyday spirituality," Eckankar's spiritual leader, Harold Klemp, is the award-winning author of more than sixty books. He has helped people all over the world bring the enlightenment of Soul into everyday life and practice. To learn more about Eckankar, visit www.Eckankar.org. There you can download free Eckankar books and information in English, French, German, or Spanish.